Fewer homes are underwater as prices continue to rise. 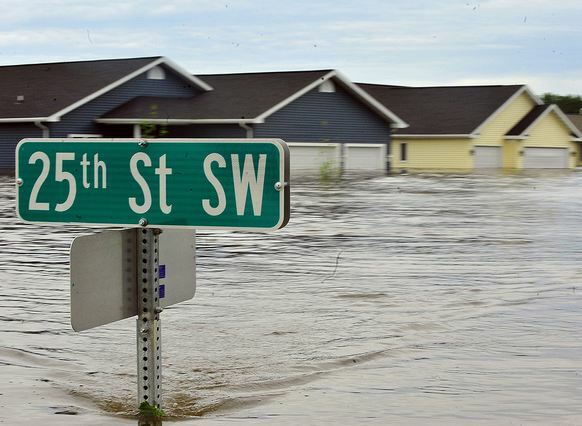 Rising home prices have helped lift almost 2 million homeowners out from being underwater — that is, owing more on their mortgage than their home is worth — according to a new report from Zillow. And the news gets better: The online real estate marketplace predicts another 1 million homeowners will regain equity in their properties by the fourth quarter of 2013. Nationwide, Zillow estimates 27.5 percent of homeowners with a mortgage were underwater at the end of 2012, down from 31.1 percent a year earlier. U.S. home prices rose by 5.9 percent last year, by Zillow’s estimate, although bigger price gains in some of the hardest-hit housing markets had an outsized impact on returning borrowers in those regions to positive equity. Zillow’s report includes an interactive map that shows the percentage of underwater homes by ZIP code. In San Francisco’s 94114 ZIP code, for example, only 4 percent of homes are underwater, while 14 percent are underwater in Oakland’s 94611 and 31 percent in Napa’s 94559. The nation’s five largest banks have given California homeowners an estimated $16.9 billion in mortgage assistance under terms of a settlement with federal regulators. Most of the money was in the form of short sales, in which banks and mortgage servicers allowed homeowners to sell their properties for less than they owe. However, regulators said they’re seeing an increase in the number of principal reductions. Those occur when banks write down mortgage debt for borrowers who remain in their homes. More than 500,000 homeowners nationwide have received $45.8 billion in aid from Bank of America, JPMorgan Chase, Wells Fargo, Citigroup, and Ally Financial to settle claims that the banks used flawed paperwork and other faulty practices to foreclose on homes. Officials expect the final amount will be more than $50 billion. A January sales report from the National Association of Realtors suggests that the rest of the country is starting to experience what we’ve dealt with in the Bay Area for more than six months now: a sellers’ market. The NAR said a tight supply of houses for sale nationwide, coupled with rising buyer demand, gives sellers an advantage in the current market. Sale prices are up an average of 12.3 percent, led by a 26.6 percent rise in Western states. January home sales were up 9.1 percent, year over year, although in Western states they fell 5.7 percent because of limited inventory. Last year’s rise in new-home construction is continuing in 2013, with the U.S. Census Bureau reporting a 13.4 percent increase in housing starts in January from a year earlier. January’s rise was even more dramatic in Western states, with housing starts up 40.1 percent. The pace of new-home construction in January represents an 86 percent increase from April 2009, when home construction hit bottom, but is still less than half the mid-2000s peak. But housing starts are getting closer to historical norms after more than two years in the doldrums.